Looking for hair thickening serum? Try this product instead from the same brand: Gorgeous Growth Densifying Elixir. This leave-in treatment also offers the thickening effect to your hair. Viviscal, known for their famous hair supplements, recently introduced a new serum product that is designed to give fuller and thicker hair. 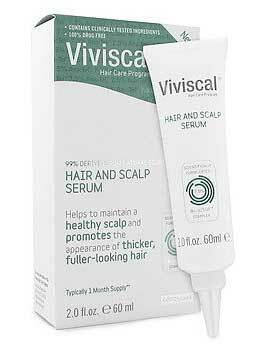 Think of “Viviscal Hair and Scalp Serum” similar to Nioxin’s Hair Diamax. Both products are designed to create fuller looking hair. Based on their official website, the Viviscal’s new thickening serum uses a trademarked compound called AnaTel, which is derived from grape seeds and pea sprouts. The site emphasizes that their hair and scalp serum is formulated with 99% natural ingredients and free of harsh chemicals such as mineral oils and SLS. 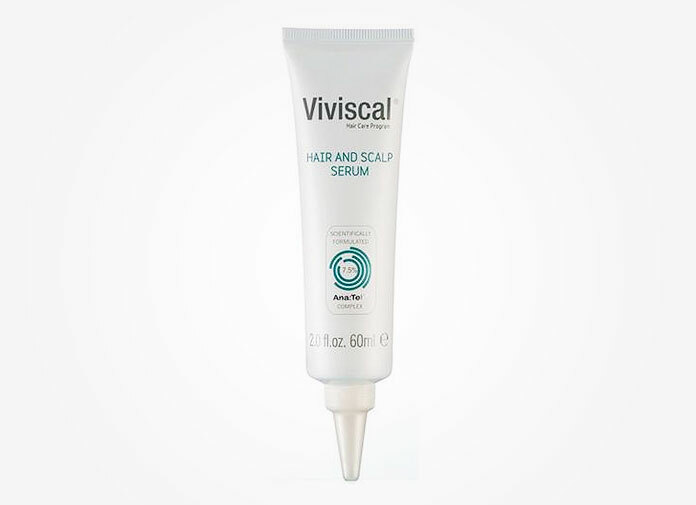 Viviscal hair and scalp serum ingredients: Water (Aqua), Alcohol Denat., PEG-40 Hydrogenated Castor Oil, Glycerin, Menthol, Creatine, Carbomer, Vitis Vinifera (Grape) Seed Extract, Lavandula Angustifolia (Lavender) Oil, Linalool, Tocopherol, Phenoxyethanol, Sodium Hydroxide, Pisum Sativum (Pea) Extract, Sodium Benzoate, Geraniol, Limonene. For more information about Viviscal, visit their website here. Their site has a new Hair Check tool to help give you some one on one advice about your hair’s condition and the best steps to take.